United by our love of the Toronto Maple Leafs, and the fact that no one in our lives wanted to hear a single other word from us about our cup chances, we're here to talk smack about the Habs, work through our game 7 trauma, and generally have a good time. Helen is currently in the thesis year of her Creative Writing MA program at U of T, which means that she spends the majority of her time reminding people that she should probably be writing. She started watching hockey again in the 2016/17 season after stomping off in a huff for four years following the Game 7 of Which We Do Not Speak. Her choice of a Mitch Marner jersey was simple: “Smol, speedy, protect him. Plus, he probably needs some moral support after they traded away Matt Martin”. Jensine works in marketing in Toronto, bakes an alarming amount, finds stats fascinating but doesn’t understand numbers, and has been watching hockey religiously for one (1) season. She chose to get a Matthews jersey because "watching him score makes me feel things I’ve never felt before". 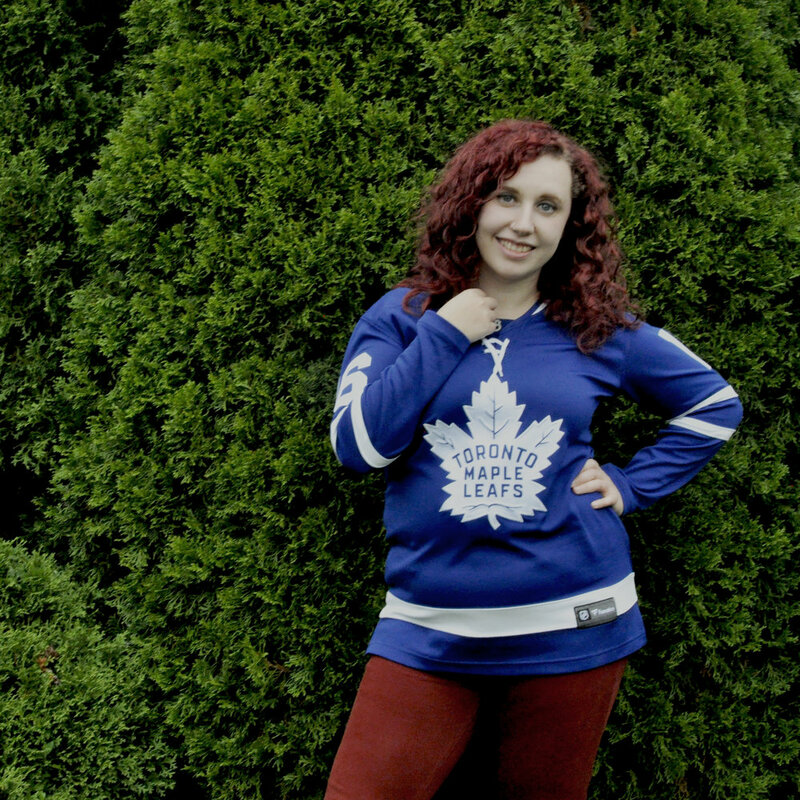 Melissa works in retail in Toronto and has been in an unhealthy relationship with the Toronto Maple Leafs for as long as she can remember. She does not have a name on her jersey because she has commitment issues and encourages NHL teams to come out with player jerseys you can change on the fly depending on your mood.